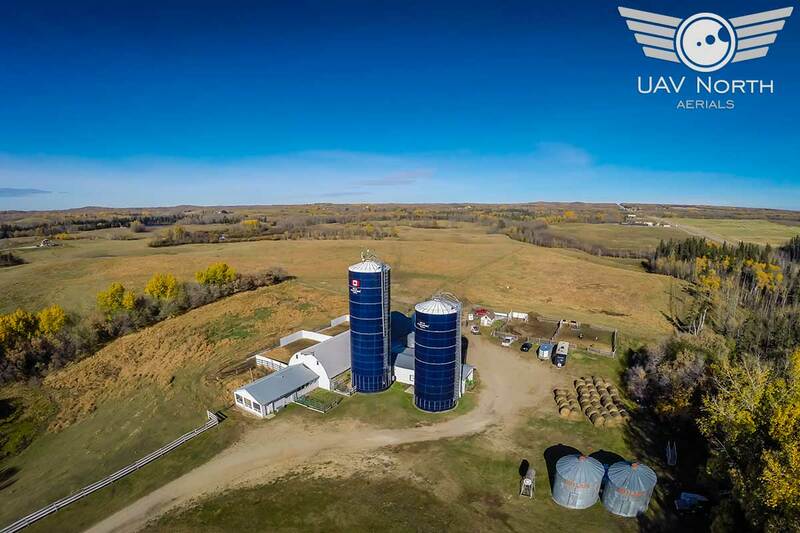 As soon as I drove up to this hilltop farm just west of Edmonton, I knew that those silos were going to look great from the air! It was the perfect autumn day for some aerial photos of this farm and the fall foliage behind it. When the farmer saw the machine I was using, I don’t think that he was quite sure what to think of it. 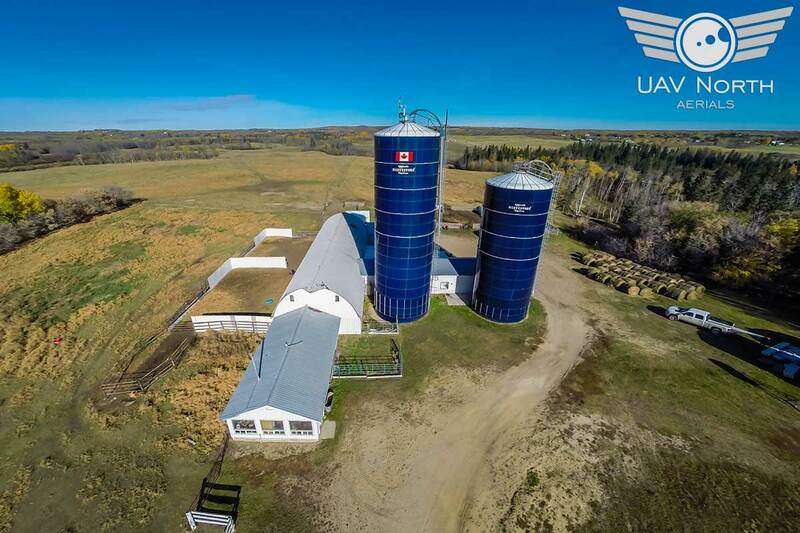 He said that there had been many people approach him to take photos of his two blue silos before, but nothing like the UAV that I brought out to his farm! His questions as to whether I was getting good shots or not were answered when I showed him the results! 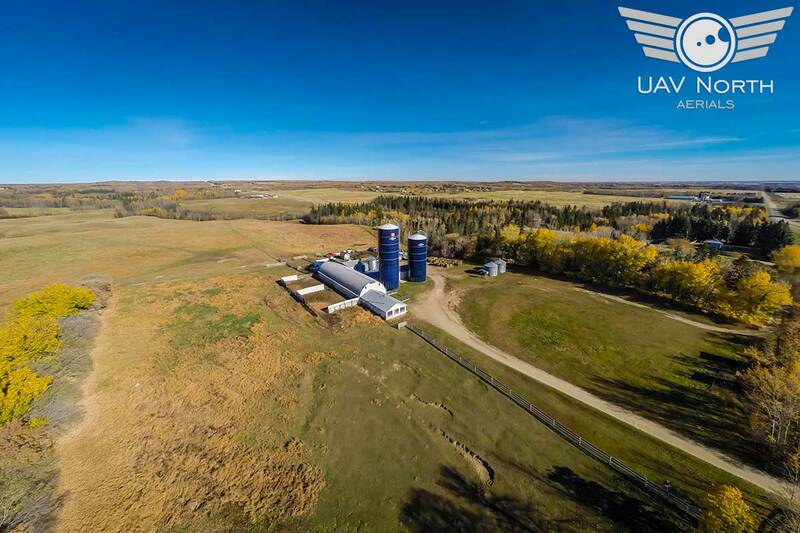 As you can see, UAV aerial photography in a rural or farm setting is something amazing. If you’d like your farm or rural property photographed from the sky, please don’t hesitate to contact me! I can be reached at 587-991-0997 or info@uavnorth.ca at any time. And remember, I’m a fully certified and insured aerial photographer that will provide you with legal shot photos and video, all with same day service! 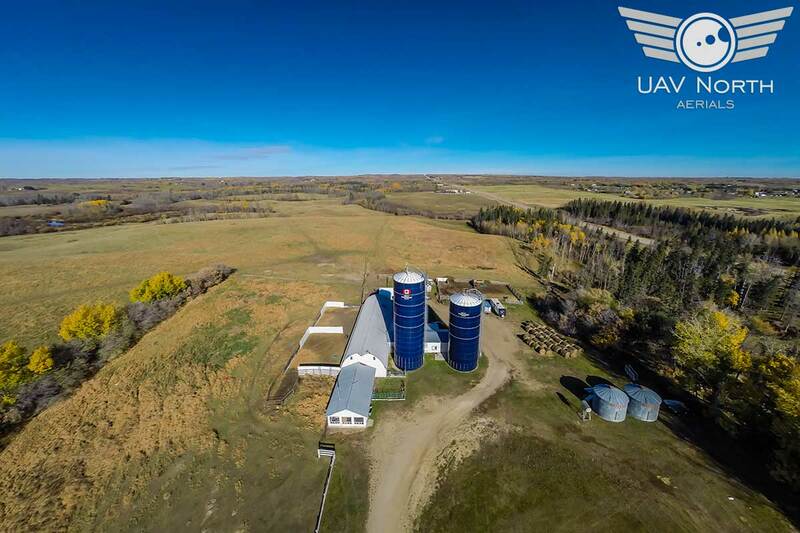 UAV North is a federally certified and insured UAV operator located in Edmonton, Alberta, Canada. We are comprised of a team of professionals that strive to provide you with high quality results, coupled with same day service and turn around. All post production is conducted locally, and never outsourced! © 2014-2016 UAV North Aerials Inc. All Rights Reserved.